This is a set of two Pro-Line Hole Shot Front Buggy Tires. 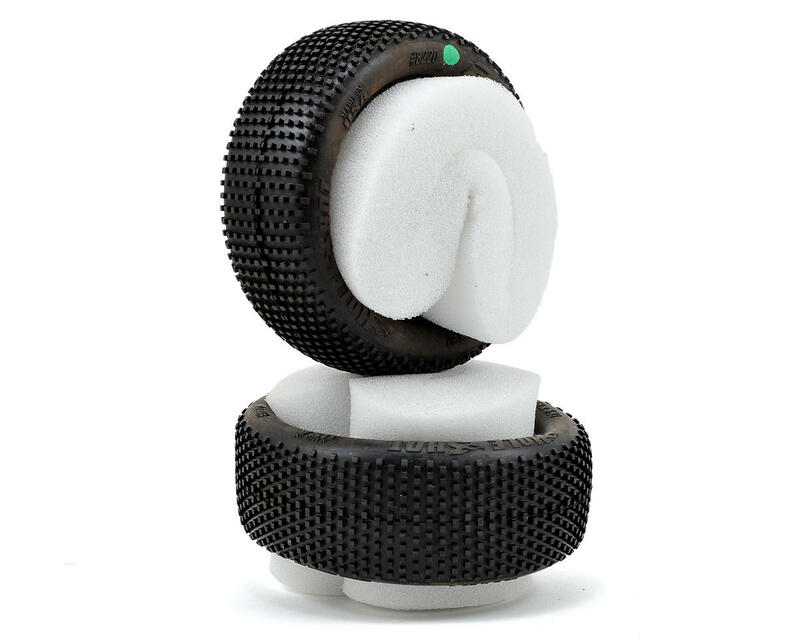 2WD Buggy racing has made a huge comeback and if you race your buggy outdoors, then you need to try Pro-Line’s Hole Shot 2WD Front Tires. Unlike the typical ribbed front tire, the Hole Shot 2WD fronts are super smooth while still maintaining all the steering you need. Ribbed fronts are known for doing the catch-and-grab at the wrong time leading to inconsistent handling. 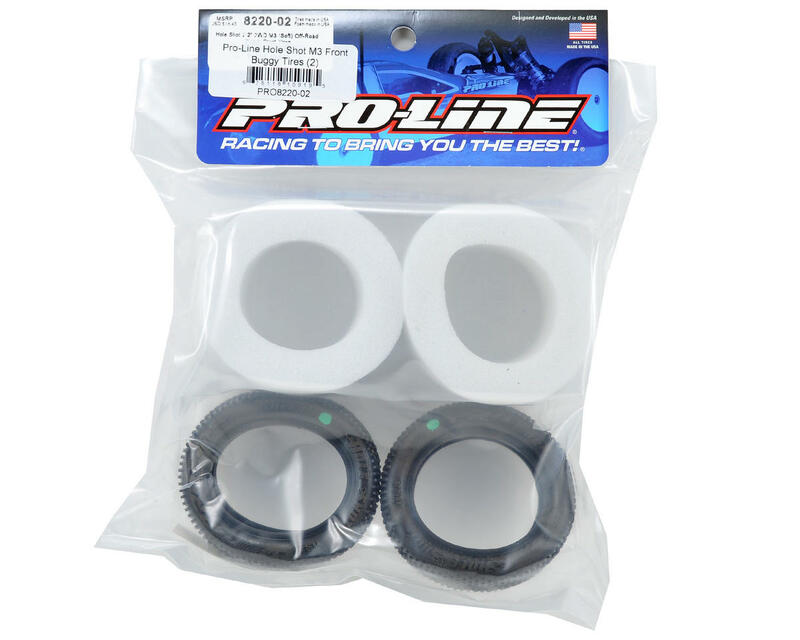 Pro-Line’s Hole Shot 2wd Front tires set the standard in steering for every outdoor track condition, from super loose to hard-packed.